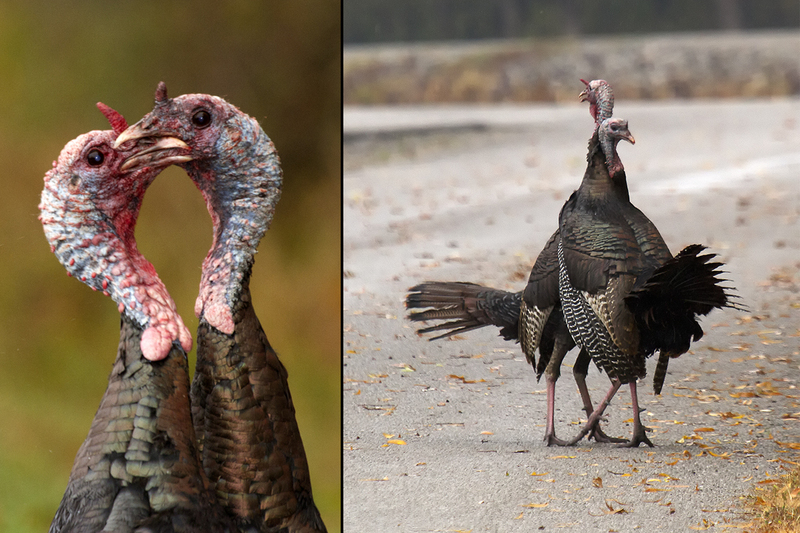 Two male turkeys tussle, oblivious of the photographer capturing their dance. No visit to southern Illinois is complete without a stop at Mermet Lake Conservation Area, near Metropolis. During one late October visit, I noticed a shape approaching from the distance. The day was windy and wet, and my first thought was that a stray garbage can was rolling down the road. As we drove closer, the black-and-white blob resolved into a pair of yearling turkeys (called “jakes”) involved in a tussle. 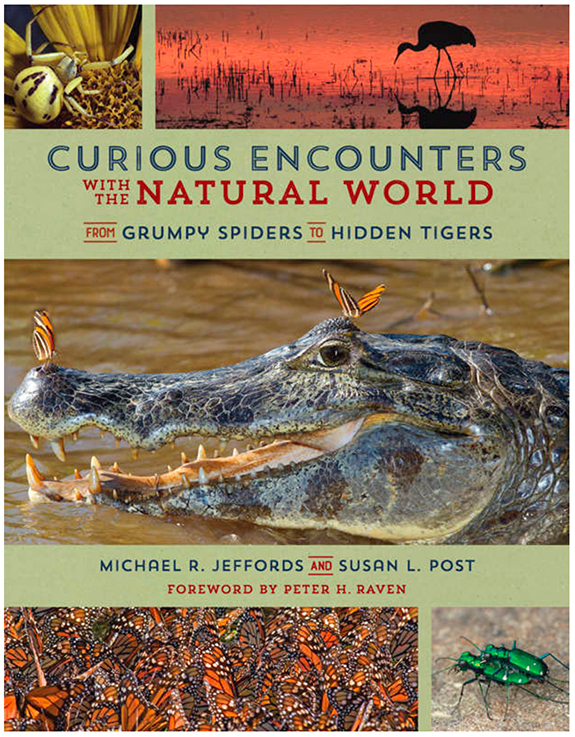 First, they weaved to one side of the road and then to the other. But when they hit the pavement, it was as if they were in a dance competition, and it was their turn in the spotlight. 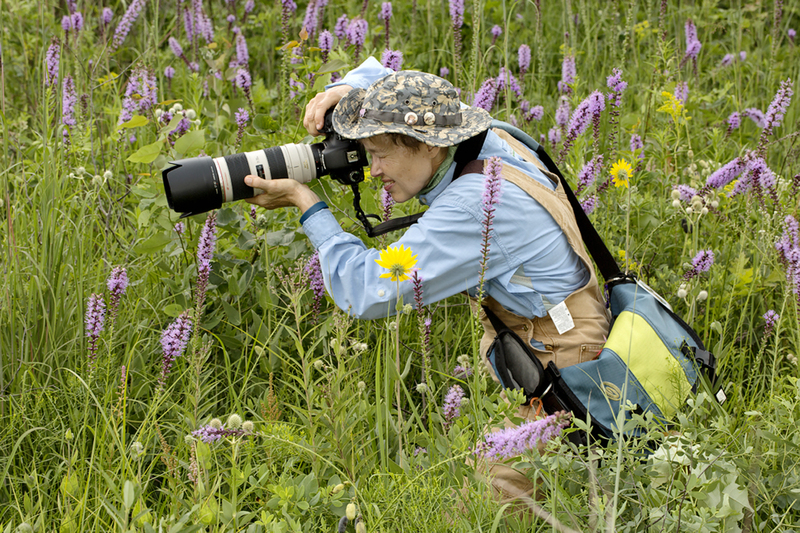 Susan L. Post is a photographer, naturalist and educator. Suddenly, I could not help but recall the often-incomprehensible terms Miss V, my University of Illinois ballroom dance instructor, would shout out during class. Here, the mysterious terms were brilliantly illustrated by this turkey pair. They were performing the tango – a dance of close embrace. There was no space between their bodies. The abrazo, or tango hug, was performed at chest level and with turkey heads – neck-on-neck and beak-to-beak. The gancho, usually executed by hooking one leg around a partner’s leg or body, also involved their brightly colored necks. A male first hooked left around the opponent and then right: This was an intricate interweaving of long turkey necks. Deeply interlocked beaks bound the pair together. The claws on their toes scuffed the pavement, sounding like taps on shoes, but never missing a step – forward and back, back and forward. I saw no arrenpentidia (evasive actions that allow a dancing couple to back away to avoid dance-floor collisions), as these jakes were not backing down, and they were oblivious to our close approach. We were spectators to their performance for more than 45 minutes, yet never did they parada (stop). When we finally drove off, the jakes were still locked in a sinuous embrace. What we had witnessed was a pair of sibling males fighting for dominance.